With it being summer and all the teens being off for school holidays we have been concentrating a lot on ‘Teen’ skincare along with us adults that suffer from the occasional breakout/acne! With school and books out for the summer Appearance/ Facial Skin ranks at number 2! 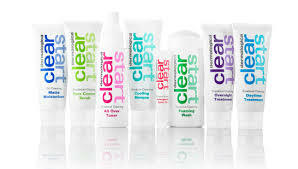 Bearing this in mind, Dermalogica have launched a nifty, fun and EASY to use range called Clear Start! 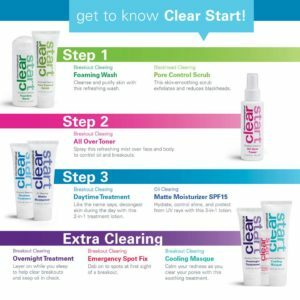 Clear Start was created with teen/ breakout prone skin in mind. Potent active ingredients and Botanical’s help to deliver your clearest, healthiest skin ever! The Range Consists of 8 products: Foaming Wash, Pore Control Scrub. Breakout Clearing Cooling Masque, Breakout Clearing All Over Toner, Breakout Clearing Daytime Treatment, Breakout Clearing Emergency Spot Fix, Oil Clearing Matt Moisturizer SPF 15, Breakout Clearing Overnight Treatment. At Vanity Beauty Rooms we are now offering a ‘Teen’ Facial priced at just €30! Skin Mapping – This means we do a thorough assessment of each area of your face. Facial treatment – Which includes a clear out of any clogged pores or blemishes on the skin. A full explanation of where to go with your skincare regime and what products to use daily/weekly. 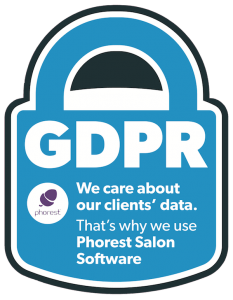 An information booklet detailing all the need to know tips so you can get the best results from our products. Along with most asked questions relating to acne/ breakouts. The Clear Start products can also be used in conjunction with our other Dermalogica ranges to suit adults with more blemish prone skin. I have tried the Foaming wash on breakouts on both forehead and chin and amazingly it cleared it up within a matter of days! As skin professionals we know that skin can act up at the most inconvenient of times so if you have a teenage Daughter/Son with skincare concerns or perhaps are concerned with breakouts yourself, we can help. Contact Vanity Beauty Rooms Oranmore, Galway for all you Skincare and Dermalogica related questions!